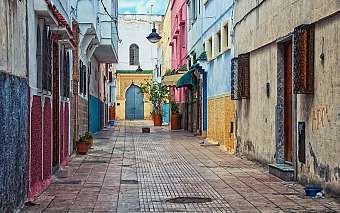 - All of our Morocco tours are guranteed departures for all traveling dates ! - All breakfasts & dinners are included ! 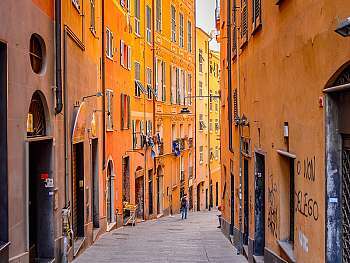 - All city tours and site are included in your price ! 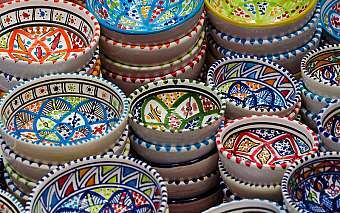 Book your overnight flight to Casablanca. Arrival at Casablanca Mohamed V airport. 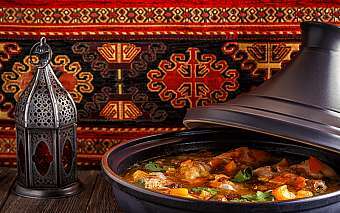 Welcome, Assistance and transfer to the hotel in Casablanca. Check-in. Dinner and overnight. Morning visit of Casablanca, the economical capital of Morocco: the magnificent Hassan II Mosque, the Mohamed V and United Nations squares, the Central Market, the Habbous quarter and the residential area of Anfa. Stroll along the Aïn Diab seaside. Independent lunch. 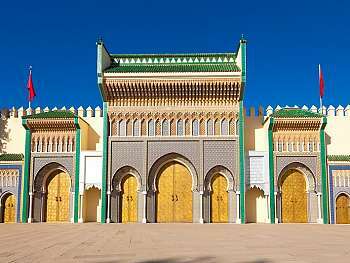 Departure to Rabat: visit of the administrative capital of Morocco with the Hassan tower, the Mohamed V Mausoleum, the Kasbah of Oudayas and the medina. Check-in at the hotel. Dinner and overnight. Departure to Fez with the visit of the Roman ruins of Volubilis. Continue to Meknes. Independent lunch. Visit of the city formerly known as «the Moroccan Versaille, Bab Mansour, the most preserved gate in Morocco, Hari Souani and the old media. Arrival in Fez. Check-in. Dinner and overnight at the hotel. 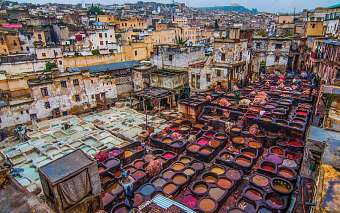 The whole day is dedicated to the sightseeing of Fez: visit of the medieval medina, the medersas, the karaouine mosque and the famous Nejjarine Fountain. Independent lunch. Continuation of the visit through the old medina. Return to the hotel. Dinner and overnight. Departure to Midelt via Azrou. Independent lunch. Continuation through Midelt, Ziz River and series of fortified villages. Arrival in Erfoud and check-in at the hotel. Dinner and accommodation. 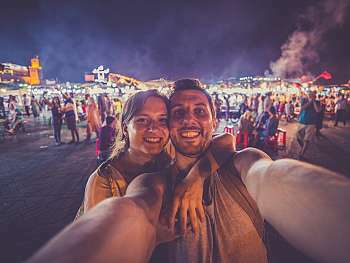 Optional: Excursion by Toyota Land Cruiser or Bivouac night at Merzouga dunes. Departure to Tineghir via Rissani. Visit of the ruins of Ksar Abbar and through the Tinjdad road, arrival at Todra Gorges. Independent lunch. 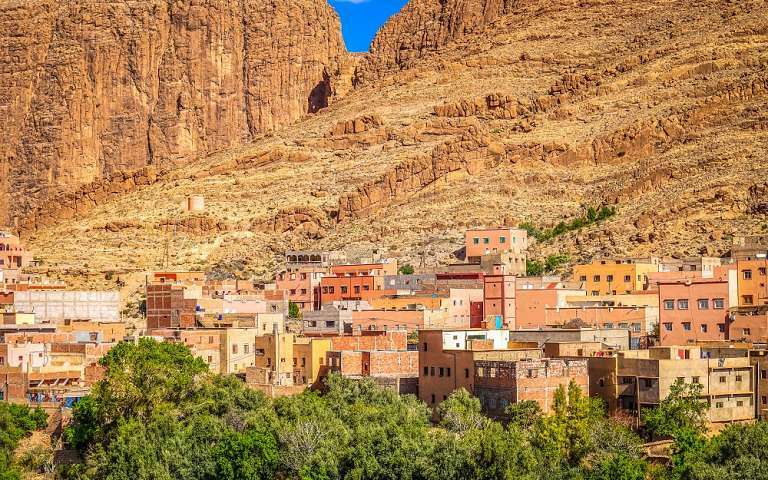 Continuation to Ouarzazate via El Kelâa M´gouna and the Dades valley. Arrival in Ouarzazate. Check-in. Dinner and accommodation at the hotel. Visit of Ouarzazate with Tifoult and Taourirt Kasbahs. Then departure to Aït Ben Haddou village. Independent lunch. 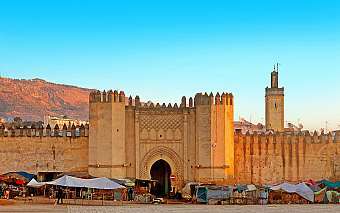 Visit of the ruins of this ancient Kasbah, Continuation via the Tiz?In?Tichka pass and Taddert to Marrakesh. Check-in at the hotel. Dinner and overnight. 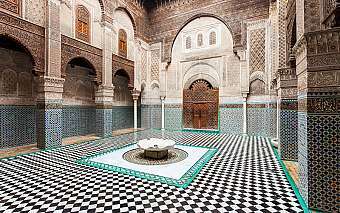 The entire day will be spent visiting Marrakesh: the Saadian tombs, the Koutoubia, the Bahia palace and the Menara gardens. Independent lunch. 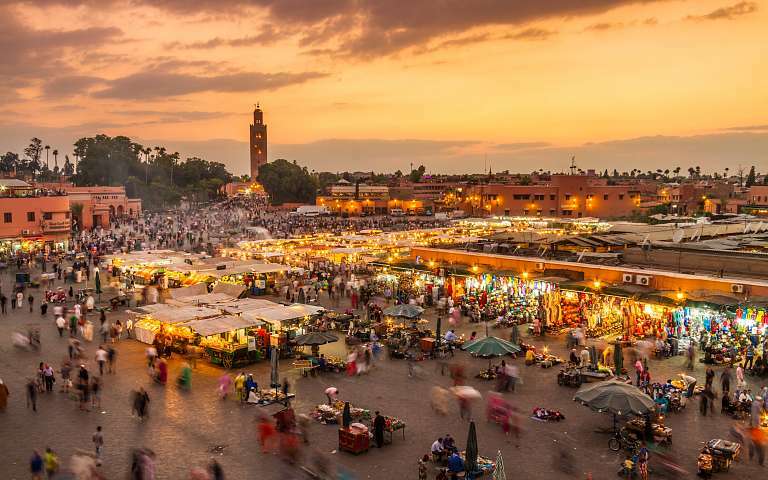 Visit of the souks, and the Djemaâ El Fna square. Return to the hotel for dinner and overnight. Departure to Essaouira. Independent lunch. Visit of the city. Dinner and overnight at the hotel. Departure to Casablanca via El Jadida with a stop at Oualidia. Independent lunch. 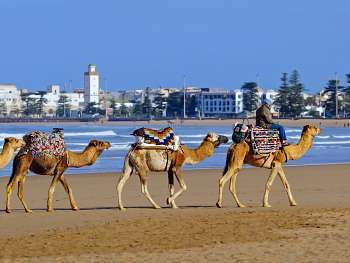 Continuation along the Atlantic coast to reach El Jadida for an orientation tour. Arrival in Casablanca. Check-in at the hotel; Dinner and overnight. Departure transfer to Mohamed V airport for the return flight back home. A qualified English speaking guide. Tips at hotels, all hotels taxes and services.